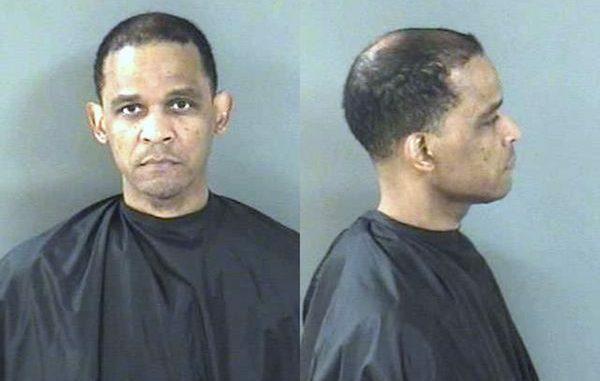 VERO BEACH – A Pro Spine doctor in Vero Beach has been arrested on charges of robbery and Fentanyl trafficking, according to the Indian River Sheriff’s Office. Dr. Johnny Clyde Benjamin, a spine and back doctor in Vero Beach, was arrested Thursday on charges of Robbery of Sudden Snatching, Grand Theft, and a warrant for Fentanyl tracking, the report said. The victim told police that he was in a meeting with Benjamin when the physician grabbed his Android cell phone and placed it into a Planters peanut jar that was filled with cotton balls. “[The victim] explained that he told the defendant to return the phone several times, however, the defendant refused,” the deputy said. The victim then notified law enforcement. When deputies arrived at the office, located at 1355 37th St #301, in Vero Beach, they were told Dr. Benjamin left for the day. Deputies went to Benjamin’s home where he told police that he knew nothing about the phone snatching. “During an interview, the defendant stated he did not know anything about the phone or of what we were talking about,” the deputy stated. Benjamin was also served with a warrant for 1 count of attempted trafficking in Fentanyl, according to the report. According to the prosecutor’s office, paperwork for the trafficking in Fentanyl case revealed that Dr. Benjamin attempted to sell, purchase, manufacture or deliver 28 grams of Fentanyl on October 5th. Benjamin was transported to the Indian River County Jail. Bond set at $800,000.